Keith Herron, a Medical Assisting student at the Earth City Campus, submitted a heartfelt essay on why he loves Midwest Institute and won an amazing basket! Read what he wrote below: The reason I love Midwest is because of the great class sizes and the real life experience of hands on in lab sessions. The classroom ratio is very low and if any additional help is needed there is always the instructor to help and your classmates. At Midwest you can meet friends you can study with both at school and away from school. The reason I chose Midwest Institute is for the great flexible school hours. Midwest Institute has one of the highest graduation rates among many of the local colleges, 87%! The staff at Midwest is great from the first time I came in I knew, yes I want this challenge and yes this is the place where I want to pursue that challenge and start my career as a medical assistant. If it was not for Midwest Institute I would still be wondering where my life is going. I have the support of the staff and my family. Yes it is time to step up and make a change only you can make that choice. Ask yourself if you are tired of just working or do you want to make a change and start a new career? Well say yes to Midwest Institute, because I did and in a few months I will have a new career and will be happy to go to work every day and love my job! 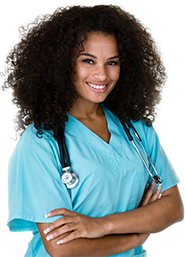 The Medical Assistant program is great! The instructors are very knowledgeable and enjoy helping students until they understand what’s going on. They go the extra mile to make sure we understand before class is over. I would advise anyone looking for a change in their life or career and want the hands on, real life experience to say YES to Midwest Institute! Thank you and congratulations Keith!